When marriage fails, both parties or at least one of the parties would want a divorce. 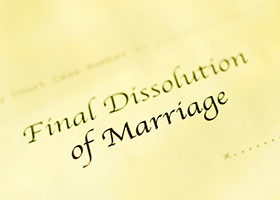 Dissolution of marriage is possible in Thailand through filing for a Divorce. The key point here is that the divorce is consented by both parties. Divorce by mutual consent means both spouses agree and seek for the dissolution of marriage. The husband and the wife willingly end their marriage. For an Uncontested Divorce, the couple just need to register their divorce at the District Office where they marriage registration was held, or at least at the Register Office of the province where the Thai couple/ Thai national lives. Documents such as marriage certificate, Thai national id, house registration certificate, passport of the foreign-born citizen needs to be presented. Marriage-related settlement will be filed with the officer at the Register Office at the time of registration of divorce. If the couple agreed to divorce however there are issues to settle such as division of marital assets, child custody, spousal and child support, visitation rights, court settlement needs to be seek. The court will decide and issue an order about the settlement which is directly enforceable. Both parties cannot breach the agreement as there is a court order. In the event of Contested Divorce, or when one party is not willing to end the marriage, or only one party wants the divorce, there will be proceedings in the court. Decision to grant divorce will be done by the court. This will be based on the evidences provide to support the claim for the grounds of divorce used. Parties who could divorce can generally subdivided into three types: (1) marriage between Thai national; (2) marriage wherein at least one party is Thai; (3) marriage between individuals with two different nationalities (intercultural marriage). Divorcing between two Thai national is easy especially in an uncontested divorce. But what are the options for divorcing in Thailand if only one party is Thai national? What would be the promises or pitfalls when a marriage is between two foreigners? In intercultural marriage which was registered in Thailand, conditions and requirements are just the same. The divorcing Thai and foreigner needs to file a divorce at a district office. Civil documents will be required such as marriage certificate (in Thai), Thai ID card, house registration. Additionally, the foreigner has to show his passport. Divorce certificate will be issued in the same day if there is an amicable settlement between parties about conjugal assets and properties, child custody. What if the marriage is held abroad yet one party is Thai national? Would they be able to file a divorce in Thailand? In this situation, check if the marriage was reported at the district office where the Thai party lives. If yes, and the divorce is Uncontested, then the couple could proceed to that district office and file for a divorce. If the place of marriage is outside Thailand and was not reported in Thailand, you need to report first the marriage registration at the district office in Thailand. Marriage certificate will be required and it needs to be written in Thai. So if the marriage certificate issued is in foreign language, it needs to be translated to Thai. The translated Thai marriage certificate needs to be legalized at the Ministry of Foreign Affairs in order to affirm that it is true and correct translation. Only in the event that the marriage has been reported to the Amphur where the Thai party lives would it be allowed to register divorce at the same district office. Uncontested Divorce is applicable if one of the couple does not consent to divorce. Thus, The Petitioner or the party who wants to file for a divorce needs to file proceeding at Thai family court and choose a Ground for Divorce. You would like to file a divorce but don’t know how and where to start? Siam Legal has expertise to handle your family-related matters such as divorce agreement, contested divorce, child custody or marital property. Speak to our Thai Divorce Lawyers now. © Copyright Thai Justice System 2019. All rights reserved.